In early 2008, students from TTUHSC SOM Peter Wu, Sudha Bhadriraju, and Brian Mahmood recognized a need. The Lubbock community had a population of 230,000 and 40,387 (18%) of those were uninsured, yet there was no primary care free clinic in the area. With the help of Dr. Patti Patterson facilitating meetings with non-profit partners, the team connected with Dan Reynolds at Lubbock Impact, an organization that provides services to the indigent population. 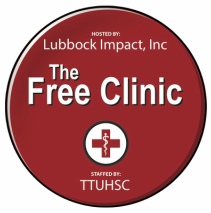 The Lubbock Impact board, who were interested in building a free clinic for some time, offered the old choir room in their church as a location to set up the clinic. At this point, the students began their search for a medical director and found Dr. Kelly Bennett and Dr. Fiona Prabhu; they offered to serve the clinic in this capacity and Julie McCauley offered to serve as legal coordinator. As soon as the group obtained approval from the Dean, the students began developing a protocol for the clinic and addressing legal issues. They had to renovate the old choir room and find the medical equipment needed to treat patients, which involved acquiring many donations from the community. Once they had determined what labs to offer, the students built a basic in-house lab. They communicated with Wal-Mart to help supply the clinic with basic medications. With everything completed, the clinic finally opened on August 5, 2009 and saw 16 patients on its first night. Physician and student volunteers staffed the clinic in this first month and had 54 patient visits, seeing an average of 14 patients per night. Three years after the opening, the clinic averages over 30 patients per night and has had over 4,000 total patient visits and 250 medical student volunteers.